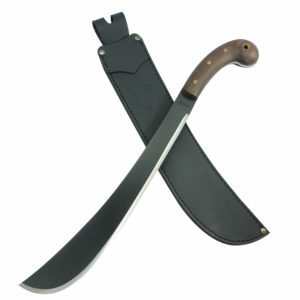 Martindale Crocodile machete handles are made from German beech wood. The timber is cross-sown for maximum strength and stability. The handle is fitted to the blade with solid steel washers and rivets. 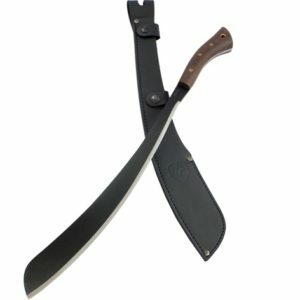 Machete Specialists carries a wide variety of Ralph Martindale products. 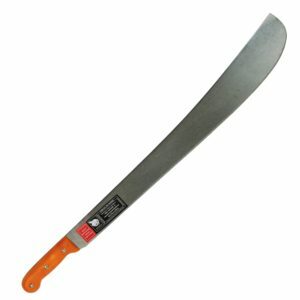 These machetes are made in their manufacturing plant in Thailand. The Martindale Crocodile brand blades are made from hot-rolled, high-quality British Steel that is produced in Martindale’s own mill. 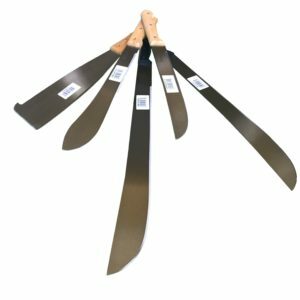 What sets the Martindale Crocodile blades apart is the tapered strip section used to better the chopping and cutting characteristics of the blade through optimizing the weight of the tool.